According to market research provider Euromonitor International, chocolate confectionery is a major global market with an estimated retail value of 109.721,6 USD million in 2018. About 43% of global cocoa consumption in 2017 came via chocolate confectionery, while it is the largest snack category in the world. At the bar end, consumers still demand ethical values and brands supporting sustainable farmed chocolate. Companies are now seeking to take ownership of their own ethical standards and responsible sourcing strategies. Cocoa-based production in Italy reached volumes of 204,28 tons (+11,06) for the January-August 2018 period, while the total export related to this market segment is worth 1.002,30 millions euro, showing a positive trend (+3,94%) compared to 2017 (Source: Federalimentare-Istat). A well performing national business which stands out compared with sweet bakery and sweets confectionery segments, and which can boosts new features. Recently the Sicilian Cioccolato di Modica gained PGI certification, thus becoming the first chocolate protected by the European Union and the one and only PGI chocolate in Italy. On the consumers’ side, the search for healthier options is increasing and almond inclusions continue to play an important role within this market. 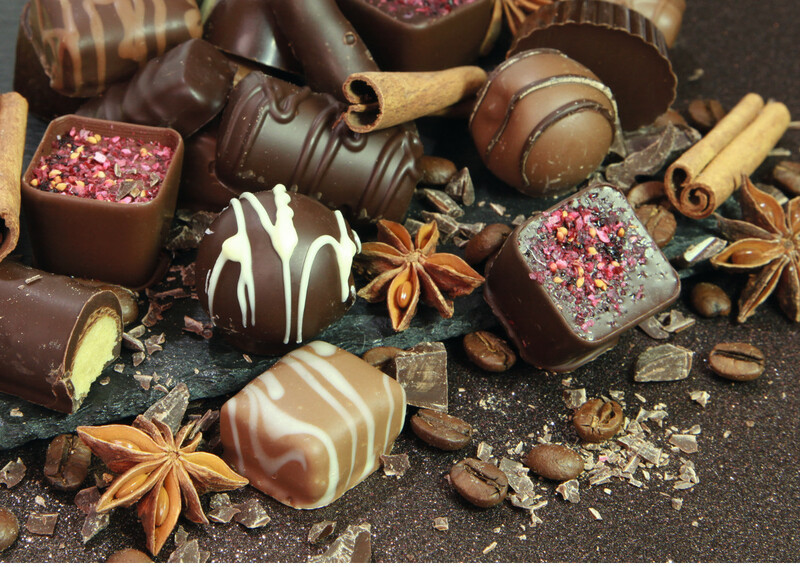 Choosing the best food raw materials, wherever they come from, is a must – Piedmont hazelnuts, Belgian quality cocoa based products among others – as well as to provide chocolate with a soft, creamy heart. Targeting occasions, which means time bound segmentation focusing on certain specific themes or events, is a rewarding marketing strategy. In addition, to drive innovation forward, in order to stand out within a competitive market, manufacturers offer a unique and varied consumer experience: adapting the recipe with trendy ingredients like almonds, changing the format and updating the packaging. Snacking, for instance, is no more an extra but a definitive occasion: since it is part of daily life, it needs suitable packaging.